YO HO HO!!! All cocktail recipes below will yield an Island Dave size cocktail, a 16 oz. tumbler. Ah yes, the Margarita. A criminally misunderstood cocktail, this poor drink has been twisted (and blended, gasp!) into a sweet, syrupy, hangover inducing frozen concoctions that barely resembles what it should be; a perfectly balanced cocktail of citrusy bite and subtle sweetness. Island Dave’s Margarita Mix goes back to the basics. In your favorite shaker, add 6 oz. 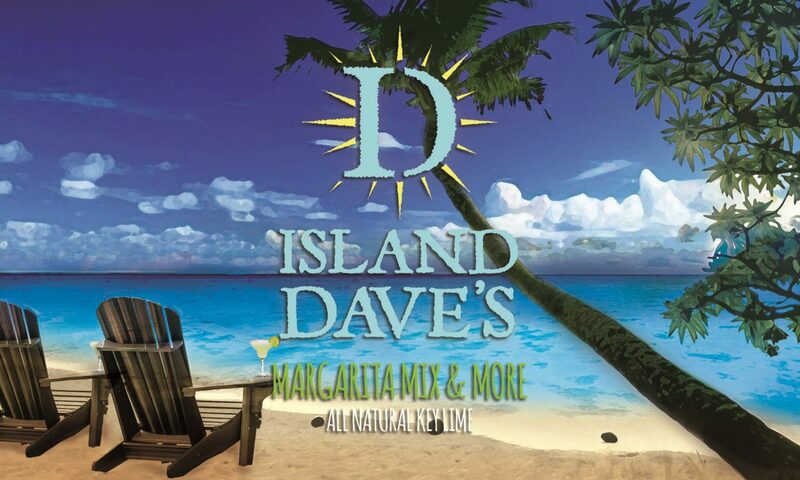 of Island Dave’s Margarita Mix, 3 oz. of 100% Agave Tequila and about .50 – .75 oz of orange liqueur, if you like, over ice. Shake well. Rim margarita glass with margarita salt and garnish with a lime wheel. Cheers! Kick up that Bloody Mary a couple of notches. In your favorite shaker, add 3 oz. of Island Dave’s Margarita Mix, 3 oz. of Bloody Mary Mix, 3 oz. of 100% Agave Tequila and ice. Shake well and garnish rim with Old Bay Seasoning and lime wedge. Cheers! Lets add a little Summer freshness to you favorite cocktail. In your favorite shaker, muddle four ripe strawberry halves into 6 oz. of Island Dave’s Margaita Mix. Add 3 oz. of 100% Agave Tequila and ice. Shake well and strain. Salt the rim for that swet salty contrast. Cheers! Looking for that perfect light and refreshing cocktail on a hot Summer’s day? In your favorite shaker, muddle with love (think bruise, not crush) a sprig of mint leaves into 6 oz. of Island Dave’s mix release. Add 3 oz. of light rum and ice. Shake well and garnish with a sprig of mint and lime wheel. Cheers! Mojitos island style. In your favorite shaker, muddle with love a sprig of mint into 6 oz. of Island Dave’s Mix. Add 3 oz. of Coconut Rum and ice. Shake well and strain to enjoy SWEET Summer drinking at its best. Cheers! If you love mango, then I have a treat for you. In your favorite shaker, muddle with love a sprig of mint into an 6 oz.of Island Dave’s Mix. Add 3 oz. of mango rum and ice. Shake well and strain. Oh my, this is really good! Cheers! Ok, mint just about makes everything taste better. In your favorite shaker, muddle with love a sprig of mint into 6 oz. of Island Dave’s Mix. Add 3 oz. of Passion fruit rum or vodka and ice. Shake well and strain, Wow, what a light tropical cocktail. Cheers! A perfect after-dinner dessert cocktail with friends. In a shaker, add ice, 6 oz. of Island Dave’s Margarita Mix, 3 oz. of whipped cream vodka and .50 oz of condensed milk. Shake well. Rim a highball glass with graham cracker crumbs and enjoy. Cheers! Whether at the beach, on the boat or at the pool, this one conjures up thoughts of a tropical Caribbean island. In shaker over ice, add 3 oz. of Coconut Rum and 6 oz. of Island Dave’s Margarita Mix. Garnish with a slice or two of fresh lime and enjoy being transported to ” De islands”. Cheers! The Green Tea Shot has become popular in coastal regions. Its very tasty and smooth. In your favorite shaker over ice, add 1 oz. of Island Dave’s Margarita Mix, 1 oz. of Irish Whiskey and 1 oz. of Peach Schnapps. Shake well. Cheers! Ok, so you’ve sworn off Tequila for the last time after waking up in…uh…never mind. In your favorite shaker over ice, add 6 oz. of Island Dave’s Margarita Mix and 3 oz. of Vodka (Tower Vodka from Texas is my top choice). Shake well and leave those Tequila stories behind. Cheers! The perfect Summer cocktail, this all natural variation of the Peach Fuzzy Navel will tantalize your taste buds with the taste of fresh ripe peaches. In your favorite shaker filled with ice, add 3 oz. of peach vodka and 6 oz. of Island Dave’s Margarita Mix. Shake well and enjoy those favorite Summer memories. Cheers! Looking for that sophisticated classic cocktail that would make Don Draper from Mad Men proud? Give Island Dave’s Classic Gimlet a try. In your favorite shaker over ice, add 6 oz. of Island Dave’s Margarita Mix and 3 oz. of Gin. Serve in a chilled Martini glass and garnish with a lime wedge. Cheers! For a throw back to those college years, try an Island Dave’s Whiskey Sour. In your favorite shaker over ice, add 6 oz. of Island Dave’s Margarita Mix and 3 oz. of Bourbon. Serve in a chilled glass with a Boda Bing cherry and a drop or two of cherry juice. Cheers! Often called “blissful” and “a true taste of Summer”, if you are looking for a crisp, cool, kinda sweet (but not too sweet ) cocktail then this might become your favorite too. In your favorite shaker over ice, add two parts Island Dave’s Margarita Mix to one part pear infused vodka (Veil Pear Vodka is excellent). Shake well and serve in a chilled martini glass garnished with a pear slice. Cheers! For a true “polynesian escape”, sip on one of Island Dave’s Mai Tai cocktails. In your favorite shaker, add 1.5 oz. of spiced rum, 1.5 oz. of coconut rum, 3 oz. of Island Dave’s Margarita Mix and 3 oz. of pineapple juice. Fill with crushed ice and shake well. Garnish with a pineapple wedge. Cheers! Looking for that perfect Cosmo on a hot summer day that not too sweet and too tart? In your favorite shaker add 3 oz. of Vodka, 3 oz. of Island Dave’s Margarita Mix, 3 oz. cranberry juice and 1.5 oz. of orange liqueur. Fill with crushed ice and shake well. Garnish with a little orange peel. Cheers! In your favorite shaker over crushed ice, add 2 to 2 1/2 oz. of bourbon (Black Powder or Two Stars Bourbon are excellent choices), 1 1/2 oz. of peach schnapps, 1 1/2 oz. of Island Dave’s then fill with ginger ale. Stir well and garnish with a sprig of mint. Cheers! You’re gonna love this light and very refreshing cocktail. In your favorite shaker, add two or three leaves of fresh basil 6 oz. of Island Dave’s Margarita Mix, 3 oz. of cucumber vodka and ice. Shake well and garnish with a cucumber wedge. Cheers!